If you have any questions or want to enquire about dates, use our form to contact Michela Facchetti or see their website for more information. Relax on the veranda or in the antique pharmacy (now a library: what could be nicer?) with a tome from the family’s historic collection. Books in all languages line the walls, along with puzzles and toys for children. The owner has thought of everything, from complimentary grappa to hand-finished linen to candles for al fresco dining.The house, built in 1695, has been in her family for 12 generations, and was home to the Italian Resistance in WWII. Now it houses seven apartments, private and peaceful, over three large floors. 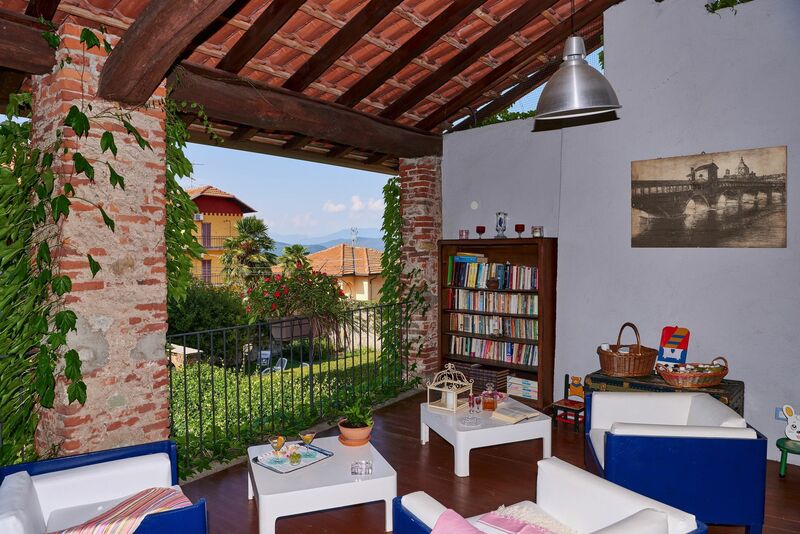 Impeccable bedrooms overlook the town square or the secluded gardens.The house is in the heart of Borgo Ticino, with a pretty view of the church and a nice pizzeria you can walk to. Hike or bike the gorgeous woods of Bosco Solivo (3km), or catch a pleasure boat on the waters of Lake Maggiore; it’s minutes from the house and backed by deep green hills. Minimum stay: 2-3 nights. In the Studio sofabed only. Extra bed and cot available. Apartments are all different and of the highest standard.The kitchen area has all the utensils and equipment required. Michela is kind enough to leave a good supply of basic's. Don't forget to use the amazing outdoor seating areas. Why not play the piano or paint. All of which are free for guests use. Children will also be entertained here thanks to the amazing books, toys and games available for families to use.The surrounding area has so much to offer however I will allow the wonderful warm Michela and her staff to advise you on activities and sites of interest. Come, relax and enjoy! The location of this small town is excellent, half way between Milan (one hour) and Lake Maggiore. The leafy lakeside gardens of Villa Taranto (45km) - the creation of a Scotsman in the 1930s - are stunning in any season, while the deep red wines from the town of Ghemme (25km) are a must, if you love good wine. 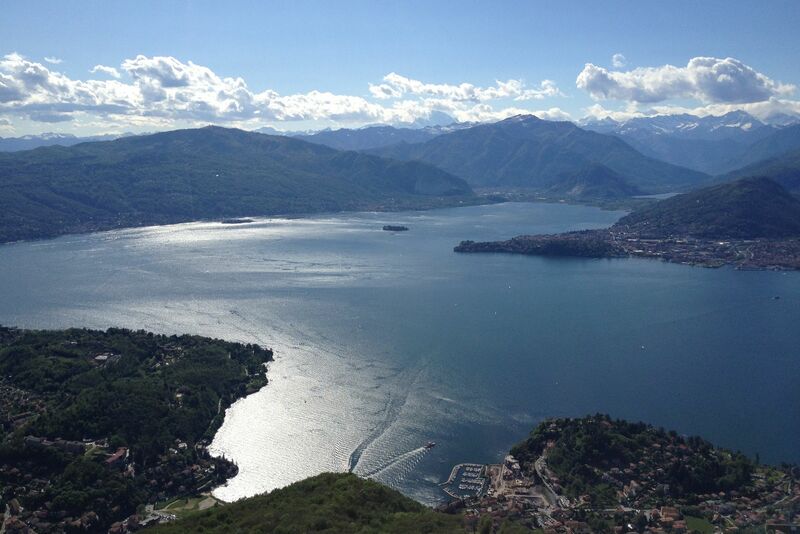 Those in the know prefer the beauty of Lake Orta to Maggiore: Orta is smaller, closer, and wonderfully little known. Bosco Solivo is a natural reserve in the village. Explore the wonderful nature on walks, runs and bike rides; children and dogs will love it. Discover the secret place of Prea Guzza with its amazing legend too. 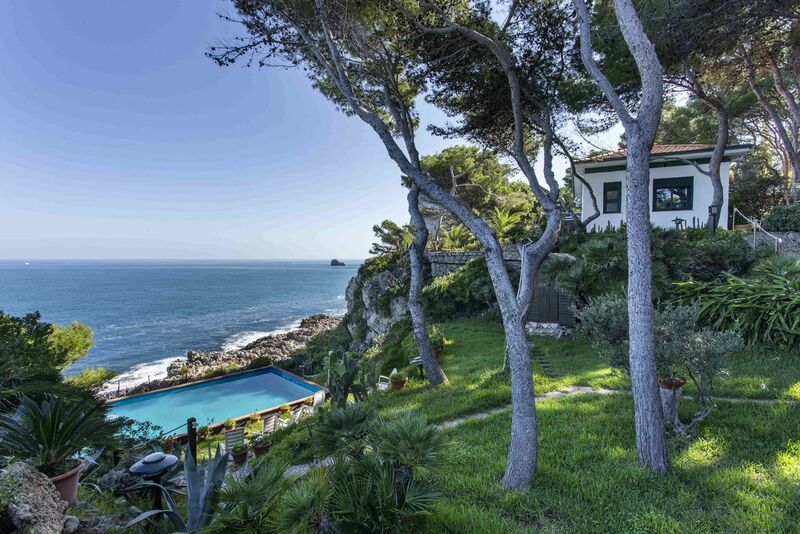 Visit gardens and villas which uncover with rare and exotic plants thanks to the mild climate of the Mediterranean. 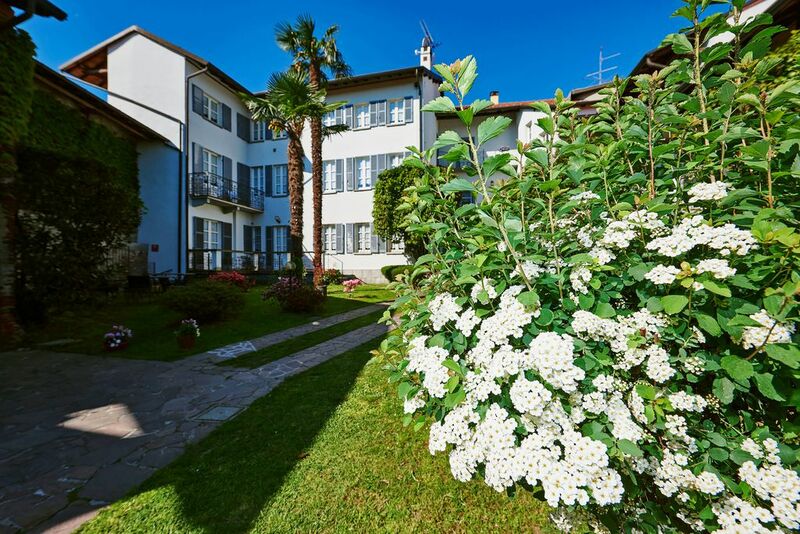 Borromeo and Brissago islands and Villa Taranto are fascinating in terms of botanical interest. Don't forget your camera and sketchbook! The house is a 3-km distance from Lago Maggiore, the second largest lake in Italy. Amazing tours by boat thanks to gardens and villas; a wonderful frame for marvellous pictures. Great opportunities for water sports, golf, horse riding, biking and running. Explore amazing Villas and Castles of FAI Association in the area between Novara and the lakes. Wonderful art collections and prestigious settings with a magic atmosphere. Special benefits for National Trust Foundations members. Lago d'Orta is a small, very chic lake, surrounded by luxuriant greenery. Thanks to the quiet beauty of the landscape, Lago d'Orta is loved for its fascinating history and its artistic treasures, Isola San Giulio. Amazing colours in autumn. Wine paradise with Gattinara and Colline Novaresi, rice and Gorgonzola producers. Discover the best artisanal products in the farmers' markets and fashion shopping thanks to Cashmere producers, Vicolungo, Biella and Serravalle Scrivia outlets. Owner Michela, generous and delightful, is on site daily from 8am to 8pm. Reading and music are her passions, and she is fascinating to talk to about the history of her family home. She speaks five languages fluently and is always interested in learning something new. Every visiting child gets a welcome gift, families have all they need, and dogs are welcome at no charge. Michela’s friendly housekeeper lives across the road.